Hannah and Sam asked me to capture their wedding at St Stephen’s church in Tonbridge (Kent) in the autumn before their summer wedding, fortunately I had a gap that weekend and they fit their wedding in between two other weddings I was photographing that month. 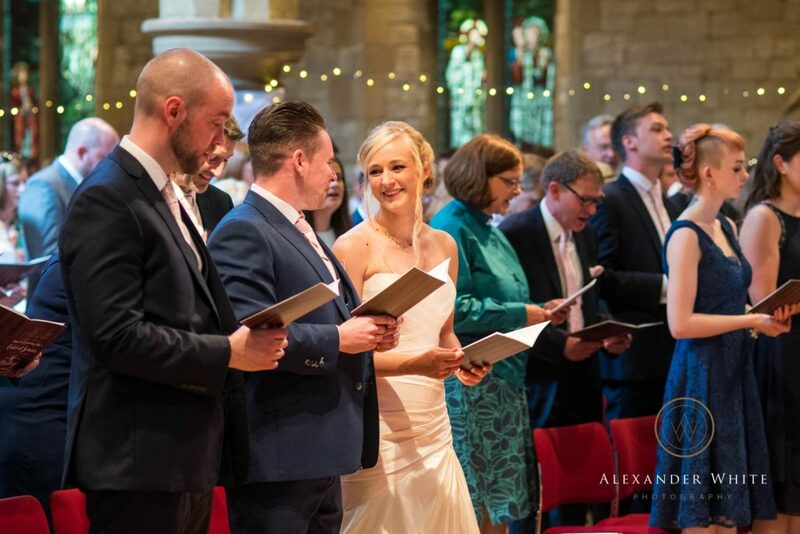 There are so many photos of brides walking down the aisle, and they all look lovely, but this moment, when the bride and groom stand together side by side and look deeply into each other’s eyes, and the groom says “You look absolutely amazing” (or words to that effect!) I think tells a more intimate and passionate story than that first glimpse caught as the bride walks down the aisle. 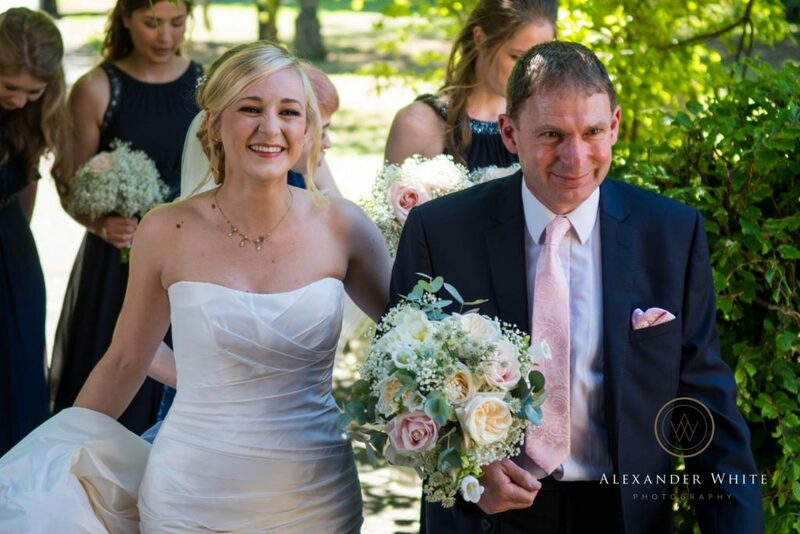 There are many precious moments throughout a wedding day, and my job as a photographer is to capture those ‘moments’, they’re fleeting and most likely forgotten (unless captured) but when they are caught and recorded, they make for the most beautiful images. 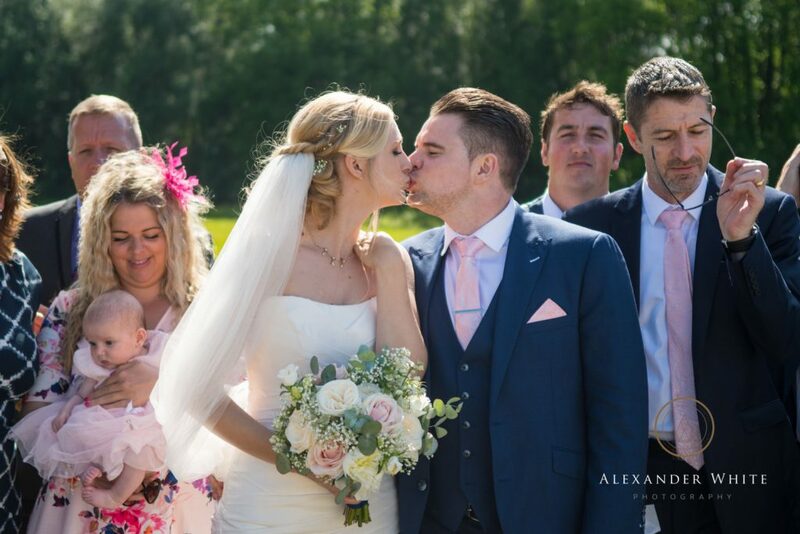 This ‘group photo’ moment was taken whilst the group waited for a missing member to arrive, everyone was standing doing their own thing waiting, when the bride leaned in and kissed the groom. It was a second (if that) and I just love the fact that despite being surrounded by family and loved ones it’s like they’re the only ones there. Here’s a more ‘standard’ wedding photo. The weather for the wedding being held in late May, was a toss up, and everyone was praying for dry weather (it had been raining for most of the week before). So when the weather cleared and we had wall to wall blue skies, my job was to keep the couple from getting burned and still capture gorgeous photos of them. 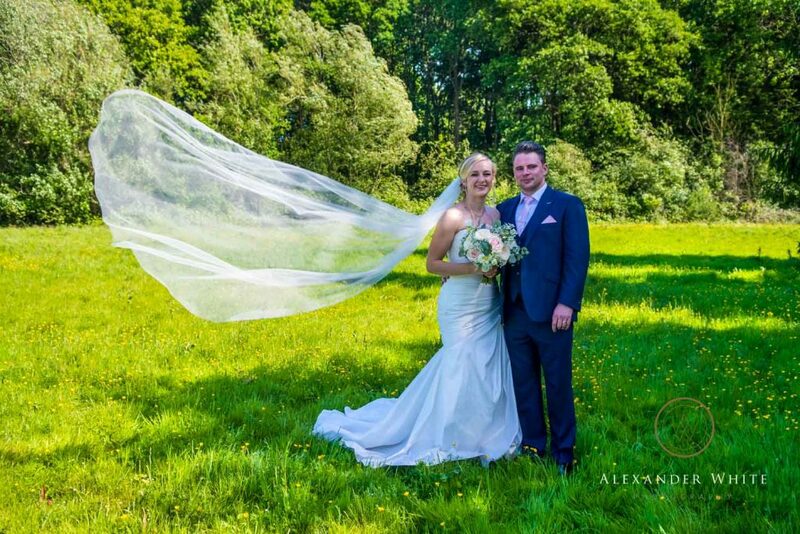 Here we went for a little walk away from the reception (which was held in a marquee) across the field to a little copse where we based ourselves in the shade of the trees. 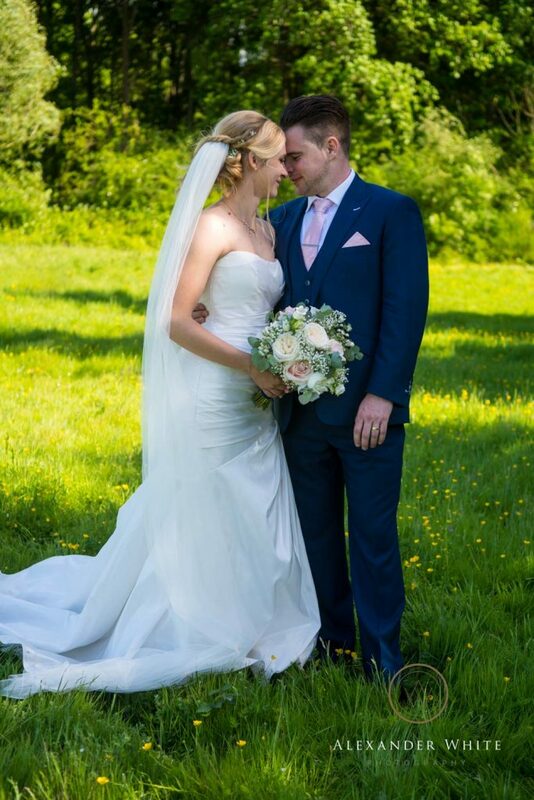 Weddings are mostly about the bride and groom, and my day very much revolves around them. But at family weddings there’s always children running around, and they love to tell their own story. 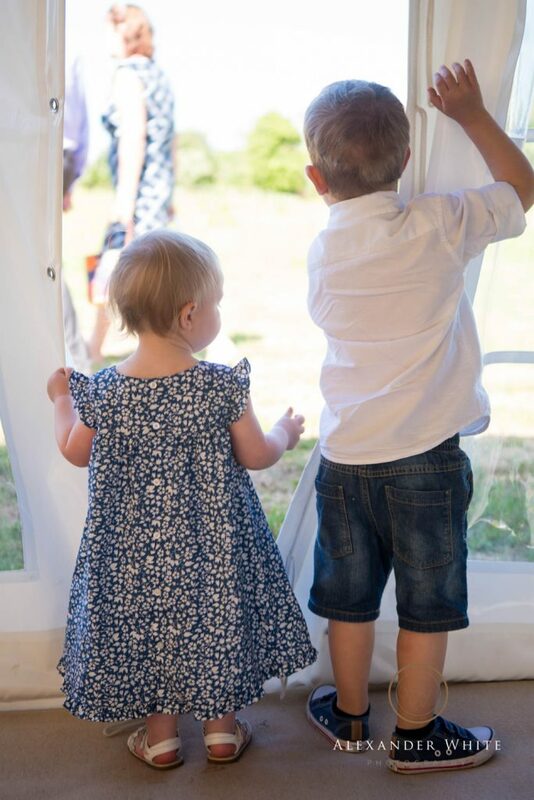 Which is why I love this shot of two little ones watching the goings on outside through a gap in the marquee. After the reception meal, and the main heat of the day had worn off we decided to capture a few more couple photos. I love the contrast of the rough unkempt asphalt with it’s weeds and overgrown trees breaking into this lovely photo of a soft and perfectly attired bride and groom. 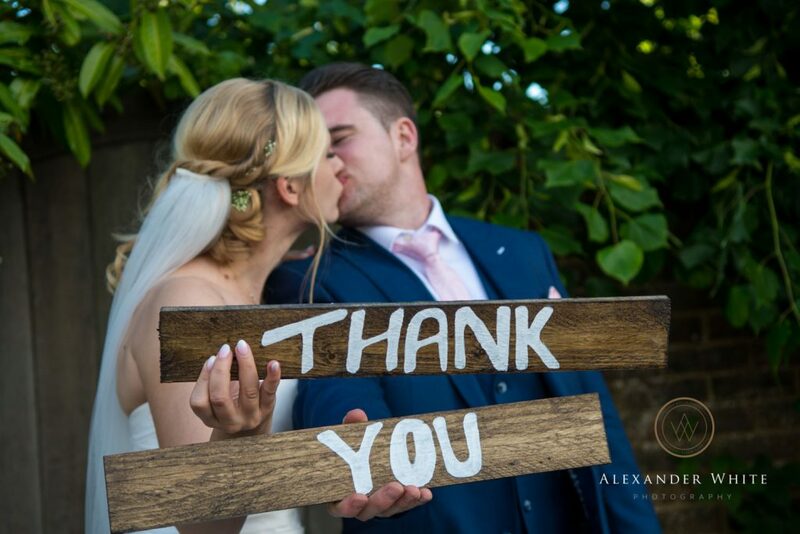 And to end it all, a simple ‘Thank You’ made by the bride and groom, who wanted to personalise their thank you cards for all their guests. This lovely couple were fantastic to work with and put so much into their day that it made my work photographing it a real pleasure.